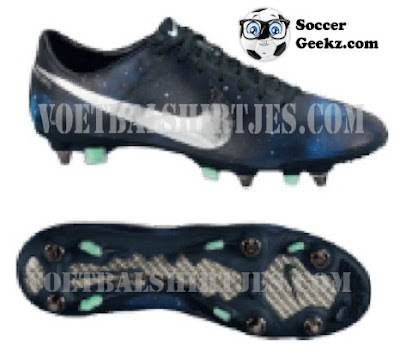 Credit to nike-pro for the pictures. 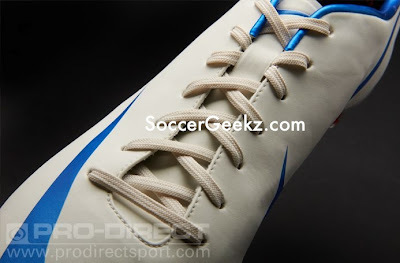 The official specifications of the new Nike Mercurial Vapor VIII haven't been released but we do know that it features a thinner, lighter, and softer upper. There will be no Superfly IV this year but Nike is expected to release it in 2014. The Vapor VIII is said to weigh in at around 6.5 oz due to the thinner soleplate, new stud layout, and thinner upper. 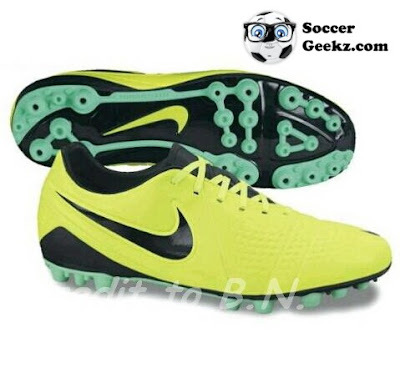 The full-length glass-fiber soleplate reduces the boots weight while maximizing strength. 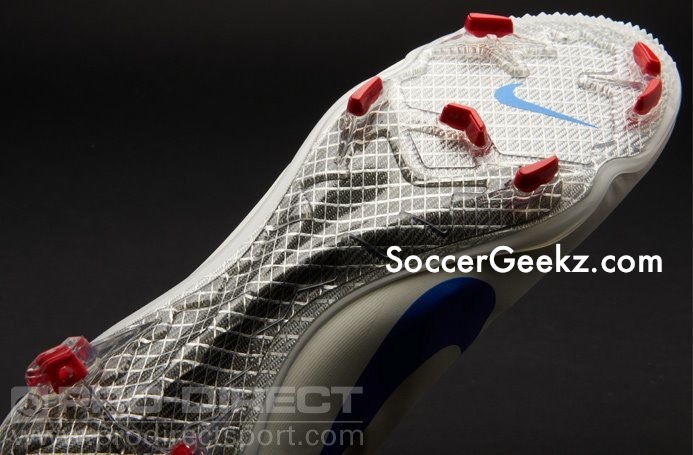 According to Nike the new stud layout is designed to provide better traction when making quick cuts and turns in various directions. The track spikes located at the front of the boot will provide instant acceleration. 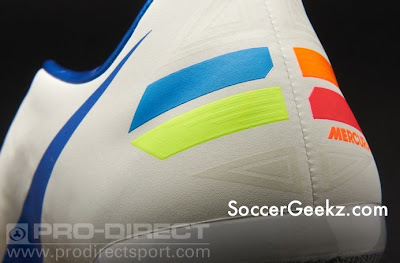 We believe the four stripes located on the heel are for visibility purposes similar to the lighting bolts located on the Vapor VII which, will help your teammates see you on the pitch. 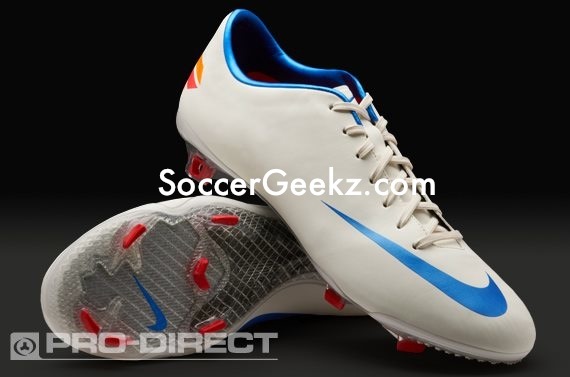 The Nike Mercurial Vapor VIII is set to release in April and will retail for $220.